It pays to ensure that your cranes are maintained and serviced correctly to comply with Workplace Health and Safety. 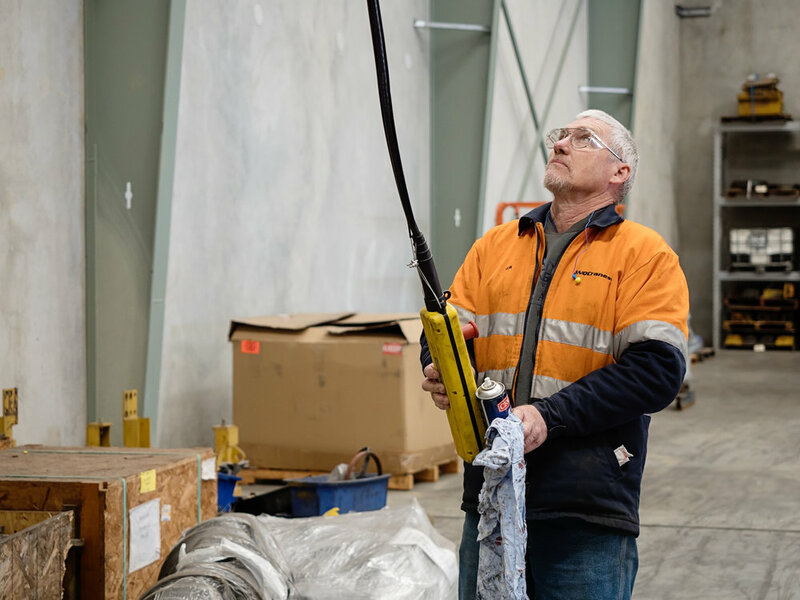 Changes to the Australian Standards relating to overhead cranes and hoists have resulted in more frequent general service inspections and additional in-depth inspections to be carried out at specific intervals during the working life of the overhead crane. Inspections will be carried out in conformance with the appropriate parts of AS2550. An annual periodic third-party inspection provides independent advice on whether the level of maintenance and repairs are in accordance with AS2550.1. 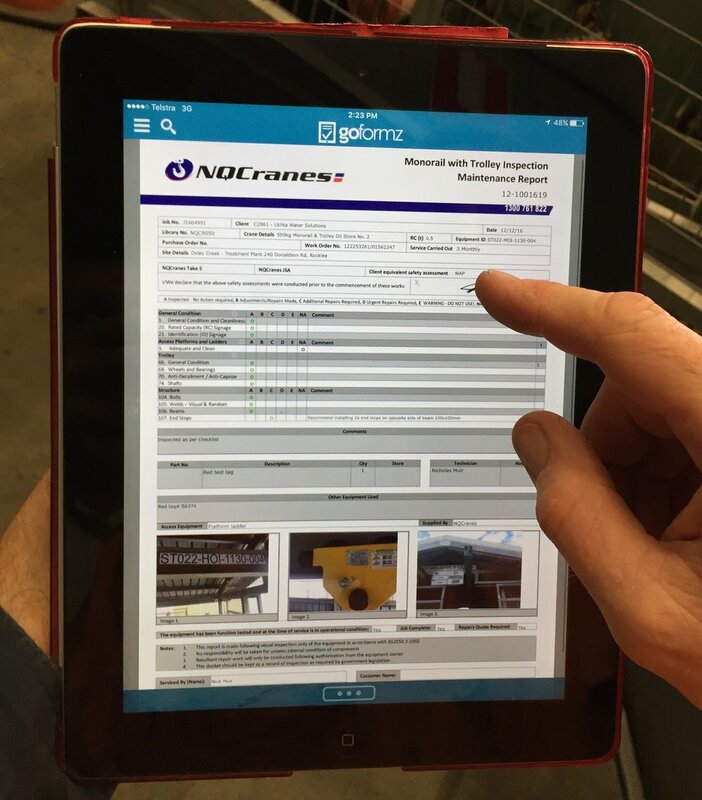 As part of the proposed inspections, the maintenance records of the crane shall be reviewed prior to the inspection. The inspection has been designed to inspect equipment for deficiencies and violations. The major assessment will contain a theoretical part, where the remaining design life of each component of the crane is analysed based on the duty estimation, and a practical part, where physical inspections of all critical components and systems of the crane are inspected for integrity and functionality. Comprehensive report provided with results and significant findings. Requirements for any action to be completed before further use of the crane. Recommendations for actions to be carried out within a given operational time. Recertification of your crane and hoist extends working life and ensures their safe, productive and profitable operation. Extends the life of your equipment and improves efficiencies. NQCranes operate 24 hours a day, 7 days a week. Our network of on-call technicians will respond swiftly in the event of a breakdown and will endeavour to remedy your problem immediately. Thank you! We will be in touch via your preferred method shortly.